← Are you anchored to the absurd? Are you ready for a complete rethink? (1) Do you understand why chasing past returns could be the worst approach to investment choice? Do you know what metric you should use? 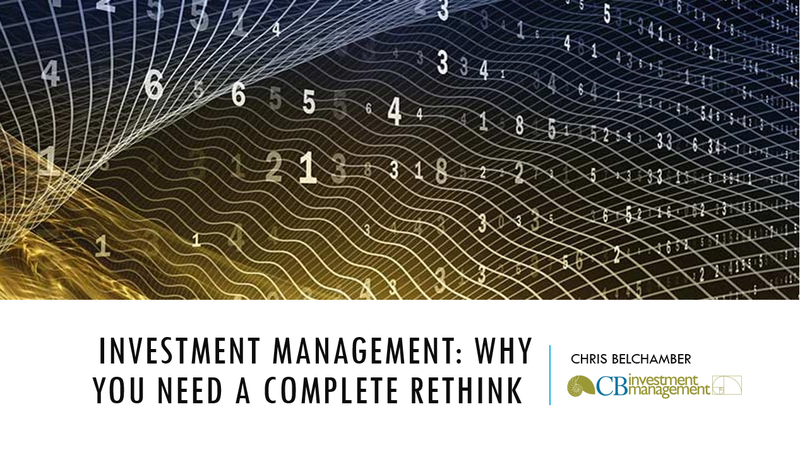 The best assessment of Investment Management is not Returns. Returns are usually a main focus, but they can be dangerously misleading. High past returns may often even be a warning sign! Just looking at returns ignores risk. Risk assessment is the hardest part of investing but it is also the most valuable part. The problem with risk is that we can not quantify it very clearly or objectively. The link between past returns and future likely returns is far more complex than most people take on board. What is the overall metric that clearly separates one manager, or set of results, from another? I believe the best you can do is to assess performance is a metric called Repeatable Volatility Adjusted Returns or RVAR. (2) Do you understand the risks to a passive allocation to just stocks and bonds? Data suggests this is the worst time in history for this approach. Tragically the investment management business commonly adopts a Stock/Bond Passive Allocation Strategy. This approach is just nonsense! Three simple points show this is the case, with potentially devastating consequences for investors with this allocation. 1. There is simply no clear historical basis for the stock/bond passive allocation strategy. 2. The theoretical basis for a stock/bond passive allocation strategy is nonsense! 3. The chart in the link below suggests this the worst time in history to adopt a 60% equity/40% bond passive allocation strategy. (3) Do you understand why your money management system could be more important than your investment selections? One of the most important steps to investment management improvement, which, should not be left out in investment advice. Money management systems can make a huge difference to portfolio returns. The sole focus is to discover whether an investor, or analyst could improve his long term returns simply by using different money management rules for the very same trades or recommendations that are made over any given time period. Once a well considered buy decision has been made the next steps are at least equally important. 1. The first rule is to estimate an effective sell discipline for any purchase or recommendation. 2. The second rule is to calculate the weighting for each purchase so that every position in the portfolio carries a very similar risk. 3. Lastly, once a stock has been sold according to the rules above, what is an effective re-entry rule for that security? (4) Is there a way to get higher returns with lower volatility over more than 4 decades? I believe there is a path to further improvements to RVAR through making a shift to Active Asset Management with tactical allocation models. Combinations of Active Management systems can take RVAR improvement to an even higher level. 1. Active Management Systems are uncorrelated. 2. Active Management Systems focus on different sectors. 3. Active Management Systems focus on different time cycles/horizons. 4. Active Management Systems can be combined in a balanced and universal aggregate system. In this way, a whole portfolio can be constructed that will automatically adapt to many different investment environments.